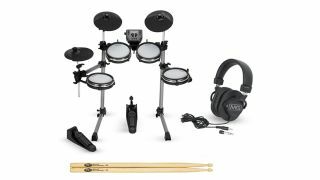 If you're thinking of buying a drum kit for someone just starting out, then check out this deal on Musician’s Friend for the Simmons SD350, which is down to $274.97 from $424.97, that’s a discount of 35%. The SD350 is a perfect 5-piece starter kit that is compact in size, but not in features. The mesh heads arguably offer a more realistic feel than rubberized drum heads and with 179 onboard sounds, there is plenty for anyone who is just starting out on the drums. 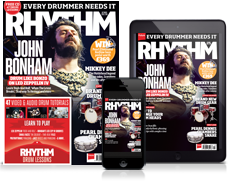 On top of all that there’s also a free pair of SPL Wood 5A drum sticks (made from 100% US hickory) and a pair of Musicians Gear MG900 over-ear headphones. If this package looks like it could be the perfect gift for that special someone, then check out the Musician’s Friend website.